You are viewing a one owner, low mileage Mercedes Benz that comes in a white pearl exterior and a clean black leather interior! 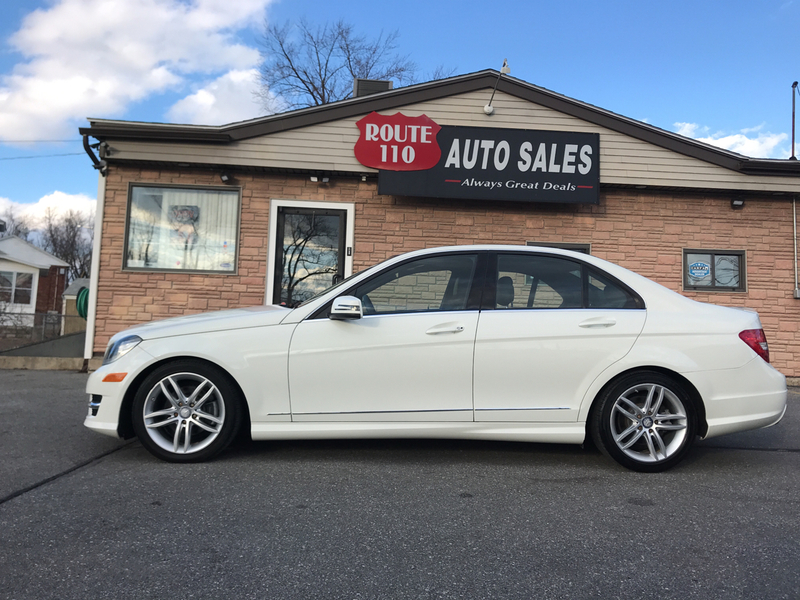 This all wheel drive sedan comes with the sport package, navigation, a back up camera, Bluetooth, power sun roof, alloy wheels and all power options. This hard to find color combination will sell quickly! Call 978-459-7800 or text 978-387-3524 for inquires! It has been fully safety checked, serviced and is ready for delivery. Ask for a Carfax history report. It provides you peace of mind with detailing information related to the past owner and service records. Our knowledgeable sales staff is available to answer any questions that you may have. Stop in and take a test drive! Call 978-459-7800 to schedule a time to come in or ask any questions!